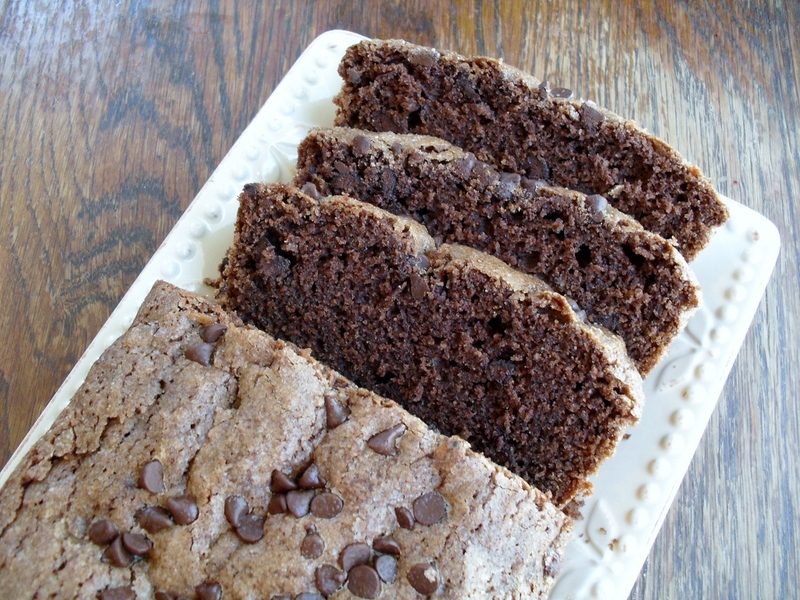 The combination of rum and chocolate in this Double Chocolate Rum Amish Friendship Bread recipe is wonderful for the holidays. Thanks to Kitchen Friend Veronica Miller for submitting this decadent recipe! Want to share a gift with someone? 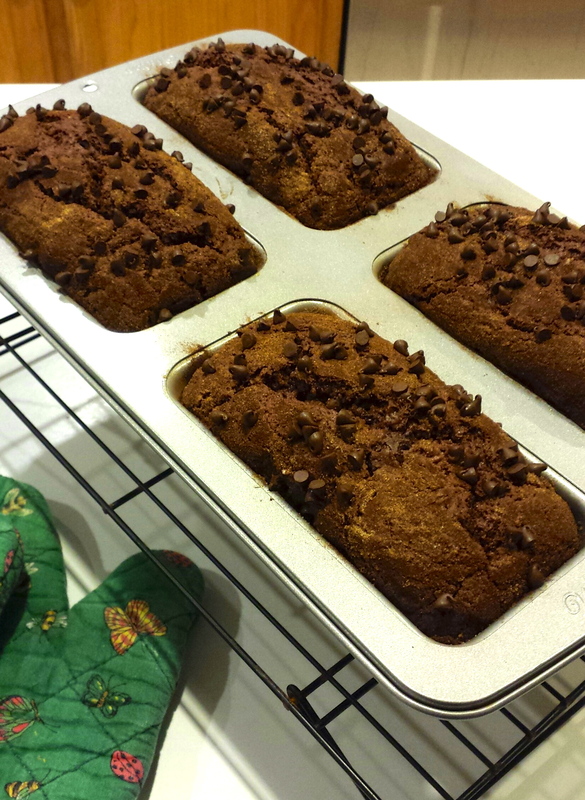 Wrap up these mini loaves and give them to friends, neighbors, or teachers! 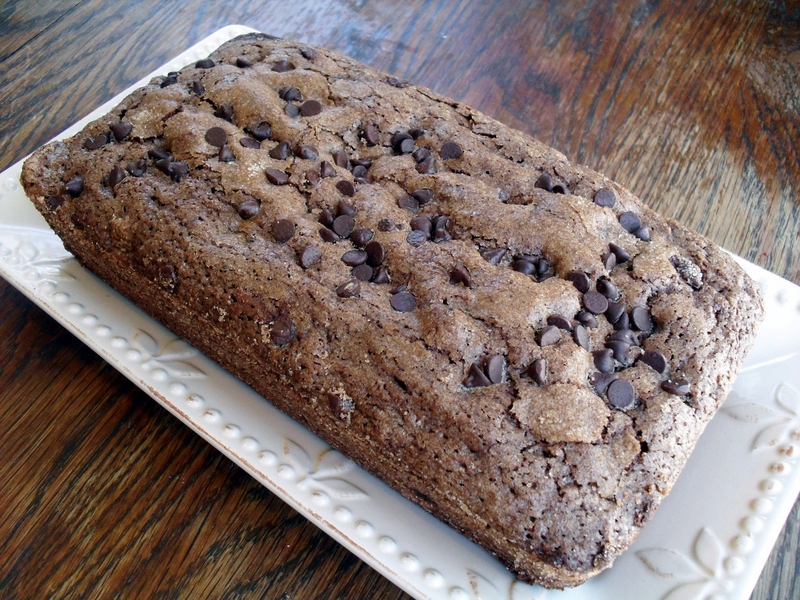 Our Double Chocolate Rum Amish Friendship Bread recipe makes great mini loaves for the holidays! Combine ¼ cup sugar and 1 tablespoon cinnamon in a small bowl. Generously butter two loaf pans, then dust with the cinnamon sugar. Tap out excess and save for topping. Set aside. In a mixing bowl, whisk the eggs into the starter, then whisk in the oil and rum. Add everything but the chocolate chips and whisk until blended. Stir in 1 cup chocolate chips. Divide batter between pans, then sprinkle remaining cinnamon sugar over the tops. 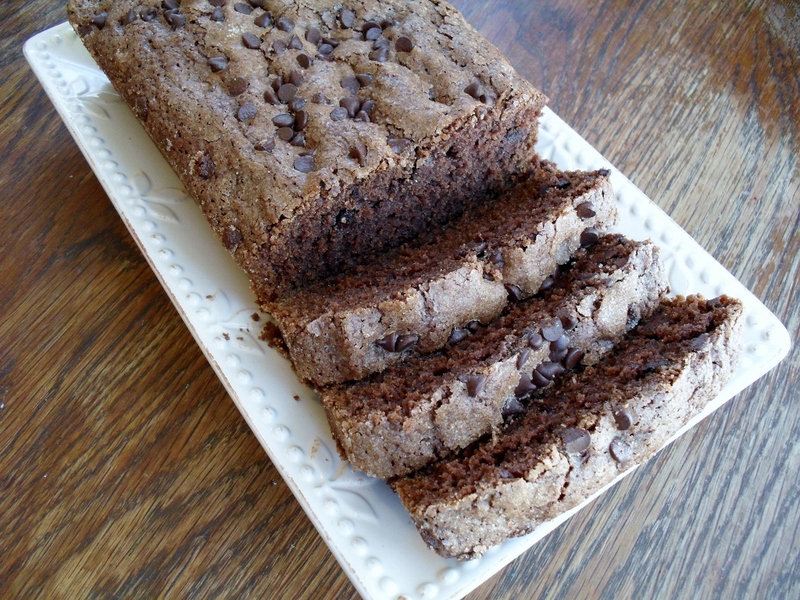 Sprinkle mini chocolate chips over the top and bake for an hour or until the bread loosens evenly from the sides and a toothpick inserted in the center of the bread comes out clean. Cool in pans for 10 minutes, then turn out to cool completely on wire rack. Wow – yum! I am going to have to add this to my “to bake” list. I like your idea about making them into mini loaves. Any recommendation on bake time for the smaller size?